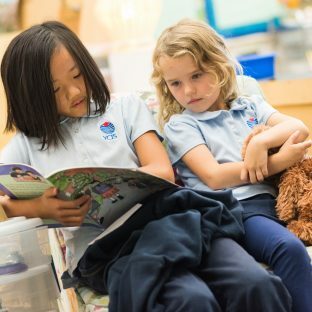 At YCIS, our goal is to ignite a love of Chinese language and culture so that students desire to continue learning and using Mandarin long after they graduate. A cornerstone of a YCIS education, the Chinese Studies program inspires a love of language and a deep connection to Chinese culture. Carefully structured to build fluency in speaking, listening, reading and writing Mandarin, the program is designed to meet the needs of beginner to advanced learners through use of authentic materials and meaningful learning approaches. Students have the choice to learn either simplified or traditional characters. Chinese culture is integrated into the curriculum and school life. Students not only learn about Chinese culture. They are able to compare and contrast it with Western culture. In Chinese culture classes students delve deeper into major events, history and significant figures, thereby gaining a deeper appreciation of an ancient culture and its modern influence in the world. Active and Collaborative. Meaningful and Authentic. We believe learning another language should engage the heart as well as the mind. Students learn interactively through role play, games, movement, performance, music, technology, arts and crafts, creative writing, stories, cooking activities and more. They peer teach and have discussions. They read stories they have written to younger students. 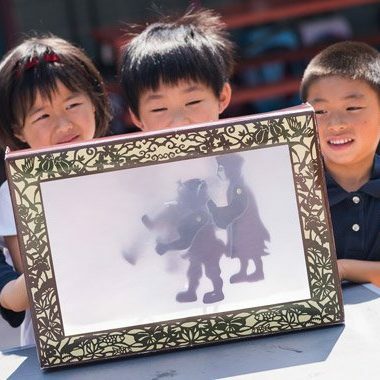 They collaborate on projects such as creating and presenting a Chinese puppet show. Teachers guide students to connect their learning to themselves, their peers, their families and their communities. Kindergarteners study Chinese language and culture for about two hours daily. They enjoy exploring a theme-based curriculum centered around topics children enjoy such as family, holidays, seasons, animals and foods. Students also learn about the most important cultural events: the Mid-Autumn Moon Festival, Chinese New Year and the Dragon Boat Festival. Kindergarten teachers use many interactive and engaging teaching methods and tools to support children’s language learning. They sing songs, cook, write stories, play games, explore learning center activities, take nature walks, create art, make videos, go on field trips and more. In Kindergarten, students learn basic reading, writing, listening and speaking skills. They learn about the origin and evolution of Chinese characters and begin to read and write traditional characters. They will have the choice of learning either traditional or simplified characters from Grade 1. Students learn Chinese Language and Culture for 80 minutes daily. Classes are small with a maximum of twelve students. In Grade 1, parents choose whether their child will learn simplified or traditional characters. Students progress through a leveled textbook series aligned with national standards for learning languages, supplemented by additional language learning kits and resources, online guided reading programs, and other curriculum materials developed by Chinese language experts in our Chinese Curriculum Research Division (CCRD) in Hong Kong. Pinyin is formally introduced in Grade 2 once students have built a strong foundation in character recognition. Students in Grade 4 to 8 study Chinese for 80 minutes daily. Classes are leveled by proficiency in mixed age groups with a maximum class size of twelve. Class assignments are based on assessments and academic performance. All levels develop listening, speaking, reading, and writing skills, with additional challenge material and a faster pace for fast track levels. New students entering YCIS for middle school will be assessed to determine the appropriate level based on their proficiency and performance in Mandarin. Novice learners will learn simplified characters. Daily homework strengthens language skills learned in the classroom. The purpose of the homework assignments is to practice and review. For example, students may be asked to practice reading passages aloud to promote fluency, to practice correct stroke order through writing characters, to review, copy and memorize vocabulary they have learned, to practice writing sentences, journals or essays, or complete exercises in their workbook. The type and amount of homework assigned will vary by grade, ability and the current focus of lessons and may be individualized to meet a student’s learning need. As with learning any subject, children develop their Mandarin language skills at their own pace and according to their own abilities and level of motivation. Teachers regularly use a variety of tools and techniques to assess student progress based on the proficiency guidelines and can-do statements of the American Council on Teaching Foreign Languages (ACTFL). They also assess students during the year with unit tests, mid-term and final exams. Students in Grades 3-8 take the ACTFL Assessment of Performance toward Proficiency in Languages (AAPPL) standardized test annually. Students enhance their Chinese language skills in additional classes and lessons during the week. Each day begins with a Morning Meeting led by English and Mandarin co-teachers. An East Meets West class is a project-based lesson taught bilingually by English and Mandarin co-teachers. The Social-Emotional Learning curriculum is also co-taught bilingually. Art for grades K-5 is taught in Mandarin. Students apply and enrich their Chinese communication skills outside of class on the playground, at school events, or in the lunchroom. 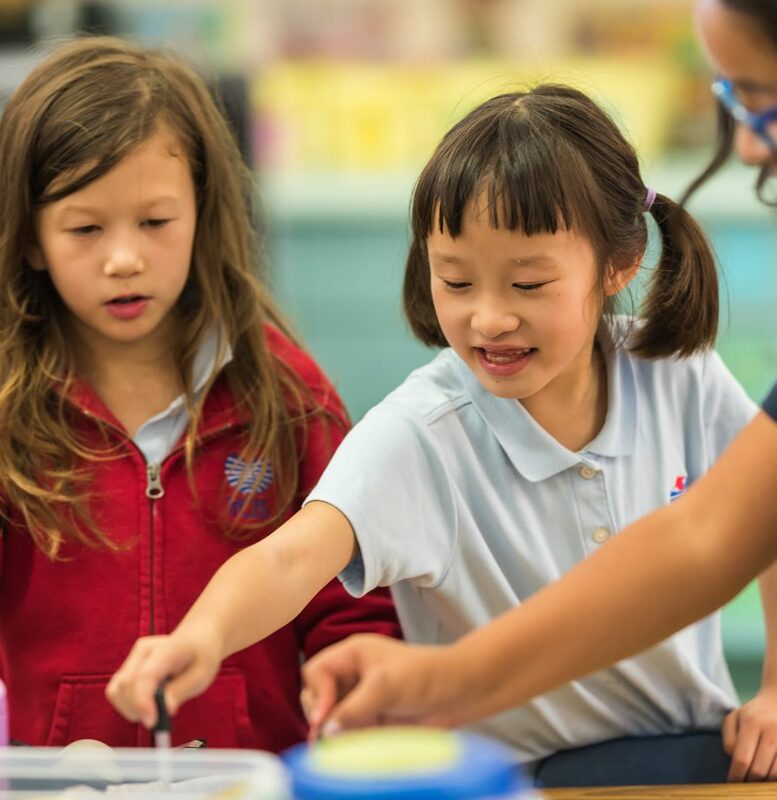 Being immersed in a dual language school, students become adept at code-switching, knowing when to speak Chinese to their Chinese-speaking teachers and English to their English-speaking teachers. As students gain confidence in their abilities, speaking two languages becomes more natural. Our after school Yew Chung Arts and Language Program (YALP) and Chinese-Immersion Summer Camp, all taught by our Chinese-speaking teachers. Field trips enhance the Chinese program in all grades. Whether it is a walk over to the preschool campus to read stories or present a Chinese puppet show, or a visit to a Chinese market to shop for ingredients to make hot pot, field trips help students to apply their Chinese in real world contexts. The capstone experience for the elementary grades is the Fifth Grade Class Trip to China. Students experience Chinese culture first-hand, use their Chinese language skills and meet students at a local school or another YCIS school.